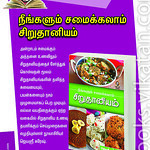 My mom always make rasam with home made sambar powder, so also follow the same. 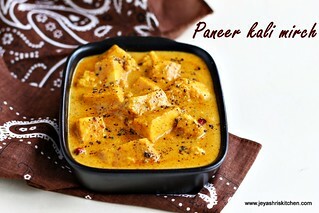 Even my mil also make it same but she will add freshly ground pepper and jeera powder to give an extra flavour. But i remember my mom makes separate rasam powder as my Dad is a huge fan of rasam. but after my dad amma started making rasam with sambar powder only. But yet it will be very flavorful and awesome. 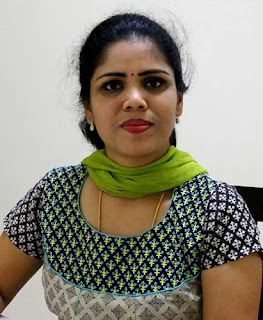 When a reader asked me for the recipe of homemade rasam powder i asked my mom but she couldn’t recall the proportion for spices she use and finally my sister told the recipe for rasam powder. Dry roast all the ingredients in a medium low flame till they get evenly browned. Allow this to cool and grind in a mixer into a fine powder. after some time store this in a air tight container. 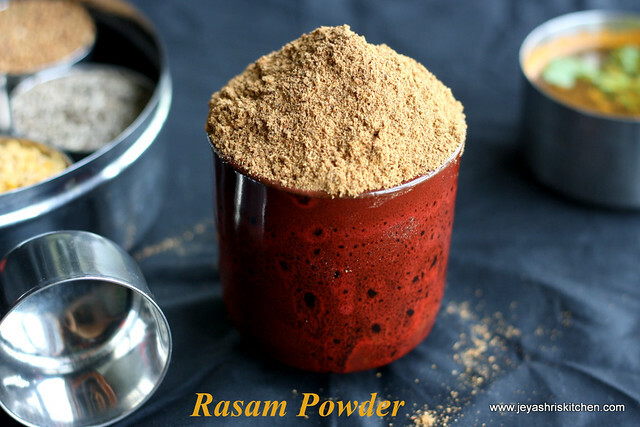 If making rasam for 4 people use 1- 1 and 1/2 tsp of this rasam powder. 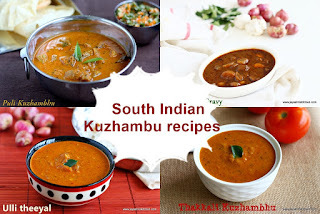 For Tomato Rasam recipe click Here. 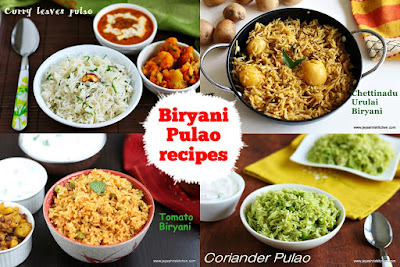 Even you can make Mysore Rasam too. 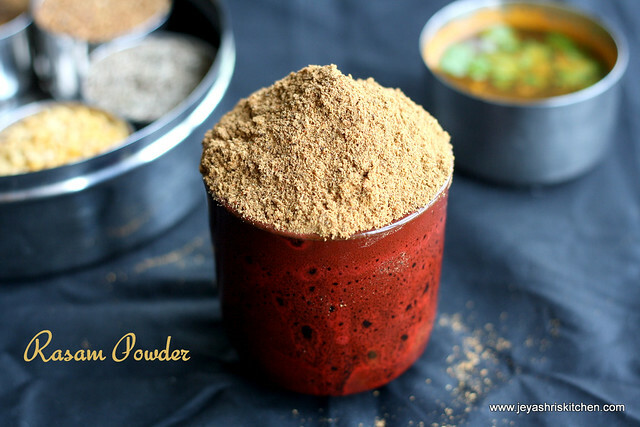 For my readers who asked for my version of sambar powder will keep posted in the new year as i am running out of stock of my home made sambar powder. Will bring enough once i am back from my vacation. Nice rasam powder , always home made are the best!! happy to know that u are having vaccation ! let us know if there is chennai plan ! Home made rasam reminds me my mother rasam ! My mom makes rasam powder fresh when cooking it...I have been doing the same but for my busy schedule I should make in advance and store it...Tq for sharing..
nice one jey.. 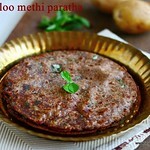 I am also having it in my draft as I got the recipe from my mum! I always use her home made one! urs look good too..
Love your pics as usual!!! they are so tempting!!! Love the red tumbler in which you have pictured the rasam powder - yum yumm!!! Homemade is always best...looks very flavourful! Homemade rasam powder,nothing will beat it. 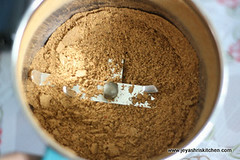 like that cute bowl :) very flavorful powder..
Home made powders are alw the best.. 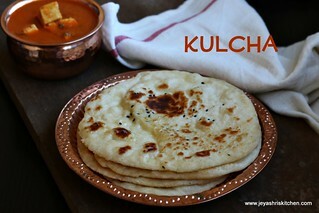 Instead of dry roasting them before, grind them without roasting and add them to the ghee (while tempering). Thanks, This is the method we follow at our place and hence shared. 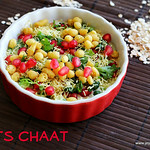 I love this Jeyashri. Love the beautiful clicks too. homemade spice powders are the best, flavorful...nice pics too! 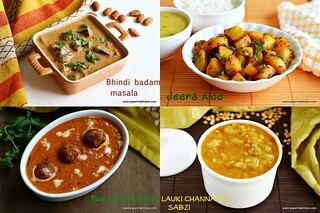 nice clicks.. hv to try this at home..
Homemade are best cant beat it.Lovely click. 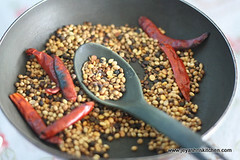 this was a huge hit...my husband (who isn't a big fan of my cooking) loved the rasam that I made using this podi. much thanks for sharing! This was a HUGE hit! 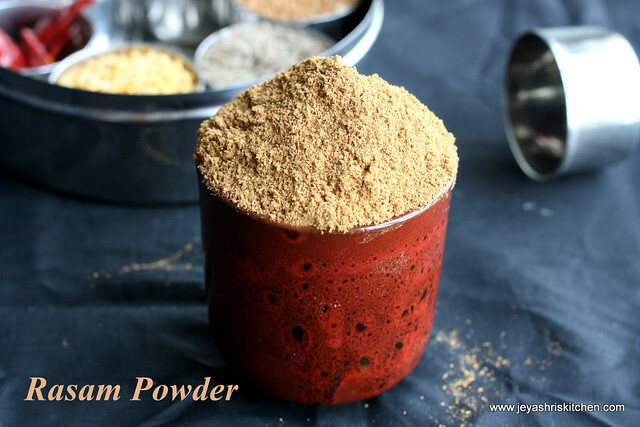 My husband, who isn't a big fan of my cooking, LOVED the rasam I made using this podi. Thank you so so much for sharing!